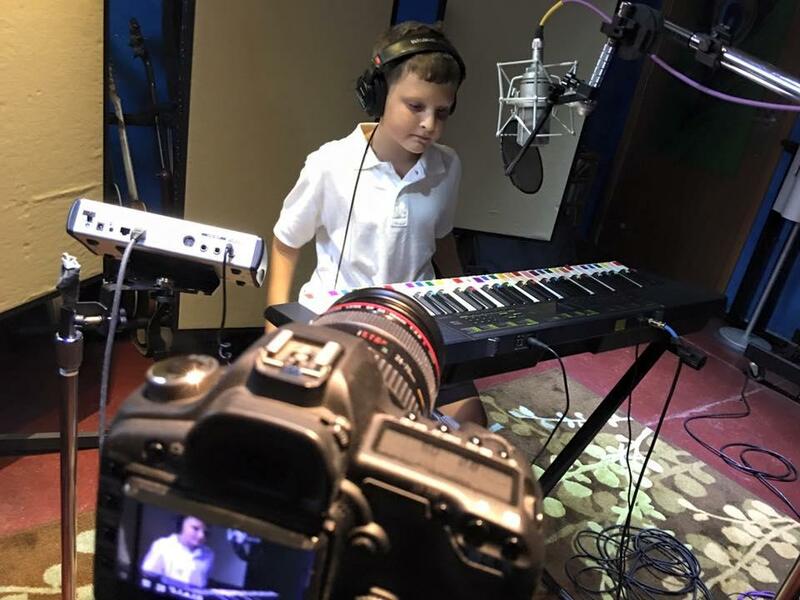 Young musician and Melodic Connections client Kyle Mounce recording in the Audiogrotto studio. Cincinnati-based music therapy nonprofit Melodic Connections provides services to individuals with developmental disabilities. The organization recently teamed-up with the Everybody is a Star Foundation to produce music videos with ten Melodic Connections clients. Joining us to discuss the project and what it means to these local musicians are filmmaker, music producer and Creative Director of the Everybody is a Star Foundation, Peter McEvilley; Melodic Connections Manager Betsey Zenk Nuseibeh; twelve-year-old musician Kyle Mounce, and his mother, Paula Mounce. To view a video of Kyle's performance of May Angels Lead You In, click here.